Shocking in Yeh Rishta: Suwarna’s acceptance to Kartik and Naira’s union… Naksh learns about Kirti’s pregnancy. He congratulates Kirti for the coming happiness. Naira, Kartik and Naksh play dhol and sing like the last time to break Kirti’s pregnancy news to everyone. The families get a wonderful surprise. Goenkas feel they had rushed to Singhania house for checking on Kirti after her fall, but this news has brought a new wave of happiness and hopes between them again. Naira sings for Kirti. Naksh hugs Kirti and thanks her for bringing happiness in his life. Singhanias sing and dance around Kirti. Naira tries to bring Goenkas and Singhanias together. Kirti gets happy seeing the families together again. She receives many blessings. She feels her baby can end the family tensions. Kirti gets new hopes. Naira and Kartik make sure that they make the moment special for Kirti. Dadi and Rajshri perform rituals to ward off bad sight. Naksh gets a baby doll and gifts Kirti. Kartik promises Naira that he will tell everyone about their decision during Teej celebrations. With this good news, he thinks everyone will melt their hearts and forget the annoyances. He tells Naira that this is a good opportunity to break the decision to family together. 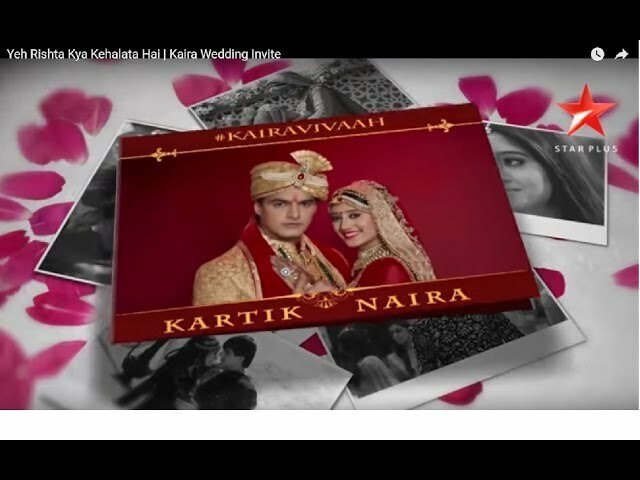 Kartik and Naira have a dream sequence, where they hold hand and declare their unity in front of Suwarna. Suwarna accepts their union and sheds tears of repentance. This brings a huge happiness for everyone. Kartik and Naira tend to be daydreaming and stay eager to turn this into reality. They imagine Suwarna hugging them and accepting their decision of re-uniting. Kartik and Naira wish that their decisions gets accepted heartily, since they don’t want to break Suwarna’s heart. They get excited to tell everyone, and also fall nervous. Naira wants to connect to Suwarna’s heart by expressing the same emotions. Suwarna is not able to cope up with Shubham’s death. She observes Kartik and finds him getting closer to Naira. She doesn’t want Kartik to get away from her for any reason. Kartik tells Naira that its time they should proceed to talk to families. Naira tells him that its good that both families are under same roof, and they can together tell everything, maybe Lord wanted them to be together and explain the families. They get emotional. They want to re-unite after the divorce thing. They feel they were so foolish to stay separated and families will understand their decision, as they wanted them to unite. They want the families to agree with their decision. Rajshri stops Kartik and Naira from revealing their big decision and warns them against deciding in haste. She asks them to be sure before proceeding. Kartik and Naira have fallen in love again. They finally break the truth of their revived love to the families. How will their families react? Will they accept KaiRa’s decision of remarriage? Keep reading.